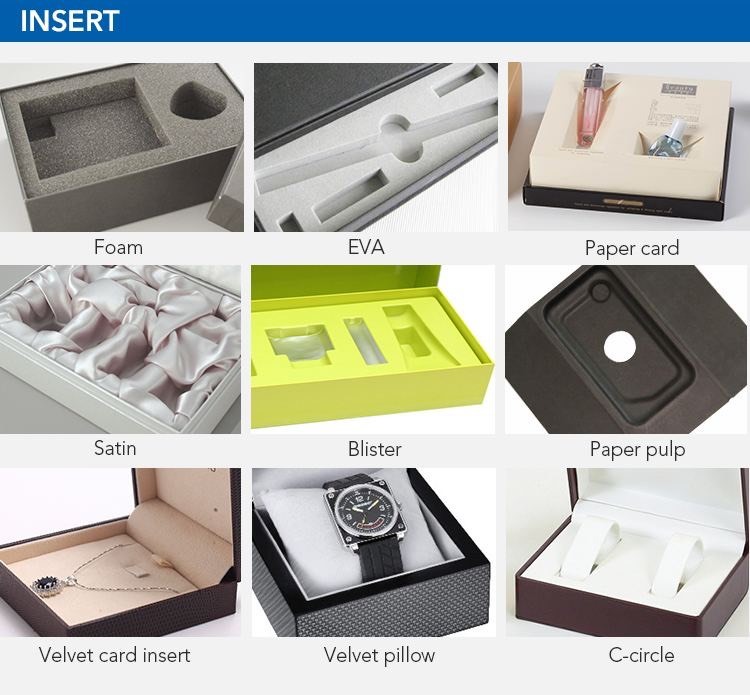 These materials can be used as the design jewelry box. 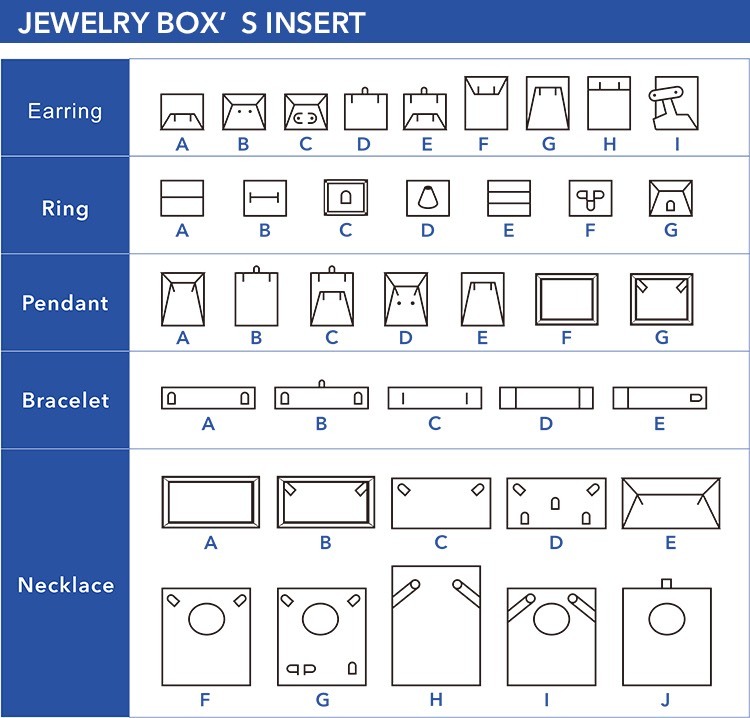 According to your requirement, design jewelry box has many different lining styles. Q1: Do you have a series of products to be sold? 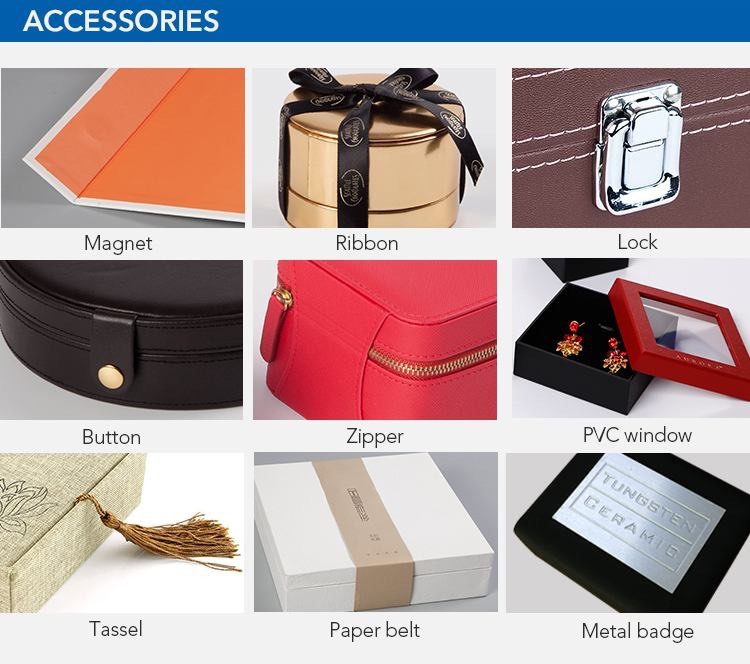 We don't have the spot supply, all the products are designed and manufactured according to the customer's requirements, and then we produce according to the customer demand. 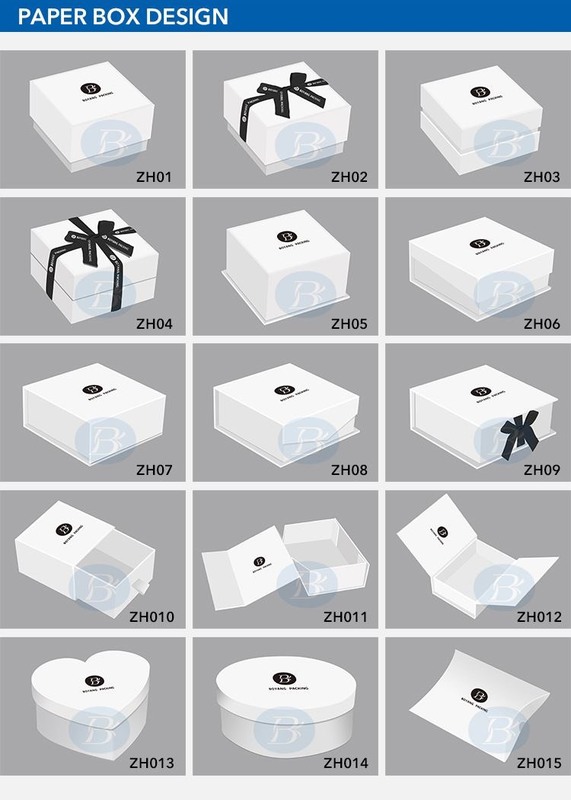 Our company is committed to providing professional solutions for printing and packaging industrial, which has been around for over 13 years since 2002. We have our own factories，a dozen years of designers and manufacturing staff. Q3: What is the minimum order quantity? In general,our minimum order size is 5000,we sometimes order less than 5000,but taking into account the design,printing,tools and installation costs,such a small order cost Ken may be very high. 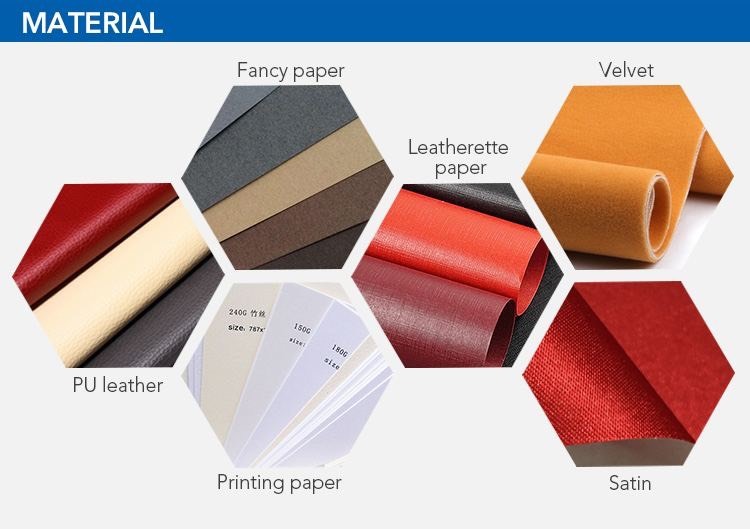 After the price is basically determined, we can provide a blank sample free of charge for you to check our quality.Mainly check the sample design and material,but the express freight you need to bear. 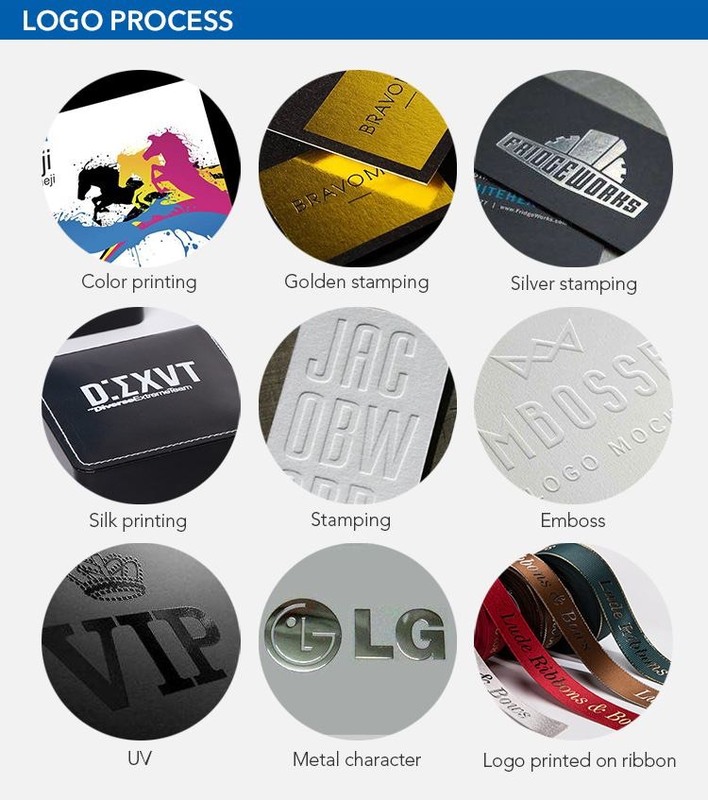 If you need to make a sample that contains your LOGO according to your requirements, we will charge a 30usd-100usd to pay for the cost of filming and printing. The final price will be determined according to the process of the product. Q7:How long does it take to complete the sample? At the same time, how long will it take to produce on a large scale ? 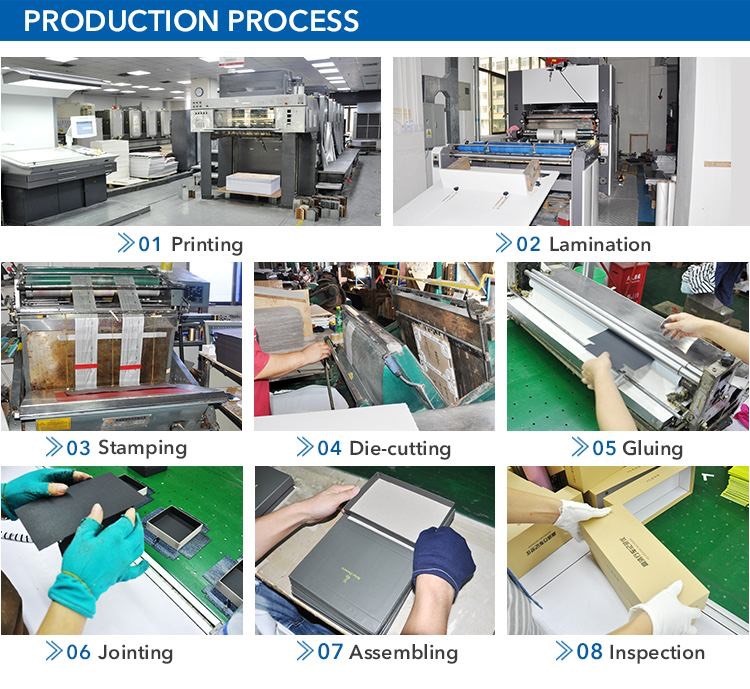 1)In general, the sample takes 3-5 working days, the batch production time is 25-35 days. Q8: Is there a qualified inspection for the finished product of mass production? In order to ensure quality, our products to go through 18 procedures to check, any one did not pass the product will be removed. Q9: How do you deliver the finished production? Depending on your situation, we have three options.